For many years Lucy's blog was one of my favorite sources of inspiration. I love Lucy's creations and pictures. 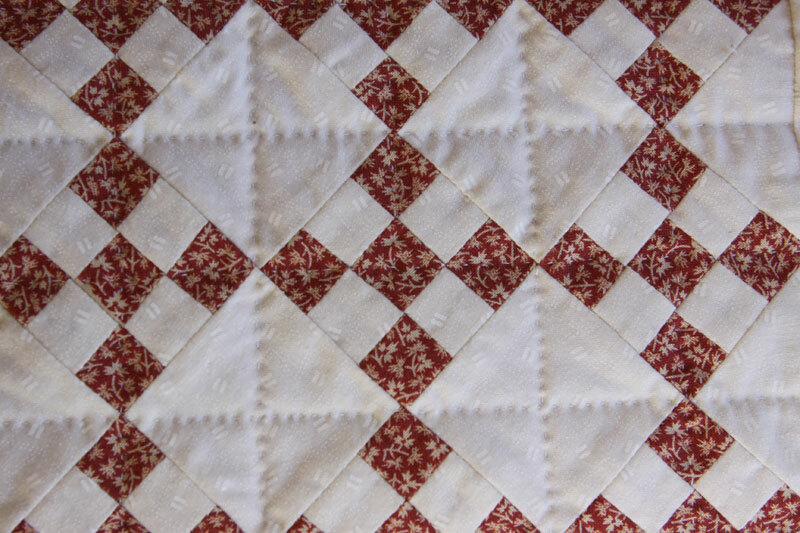 This mini Nine Patch quilt is a reproduction of one of her miniatures. It is machine pieced and hand quilted. The size is 10.5" x 8". What a lovely little quilt! Lucy is one of my favorites too. Such an inspirational women. 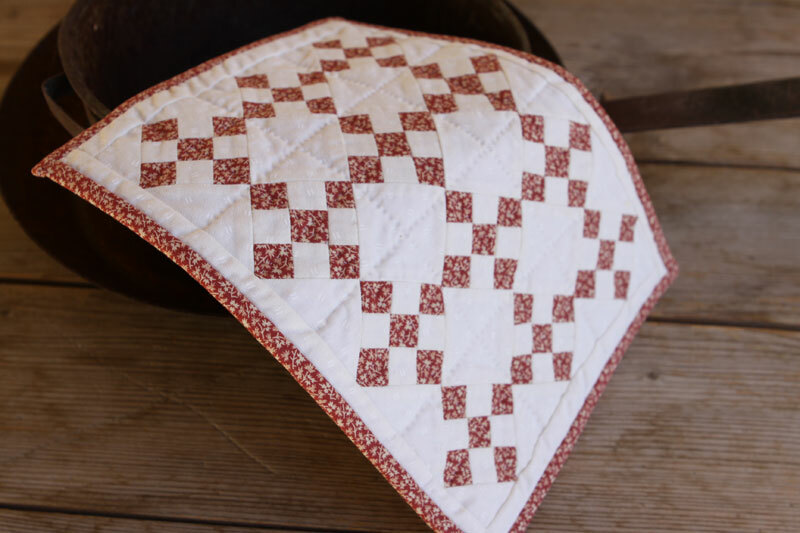 LOVE het quilt style!!! Proof that beautiful things come in small packages! Sweet! Simple but beautiful at the same time! 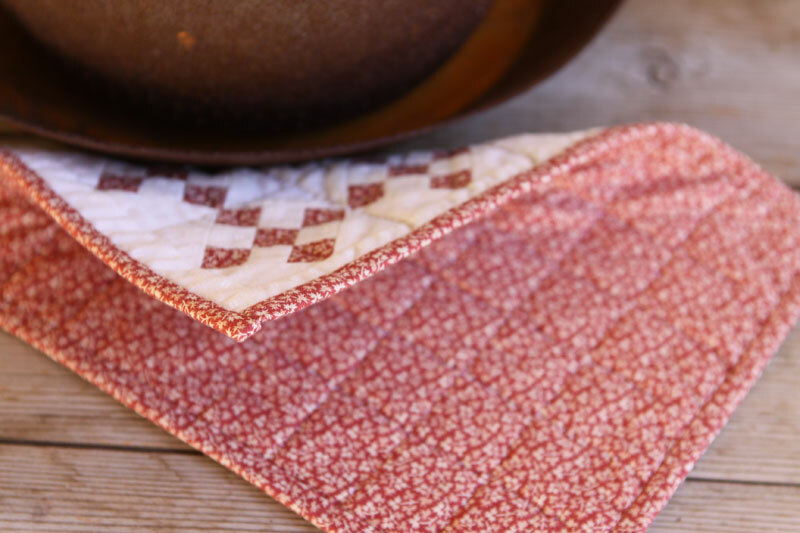 On ne pense pas assez souvent que dans ce style de quilt, le fait de faire les carrés de la même couleur que le tissu de dos donne du chic et de la sobriété au travail ! 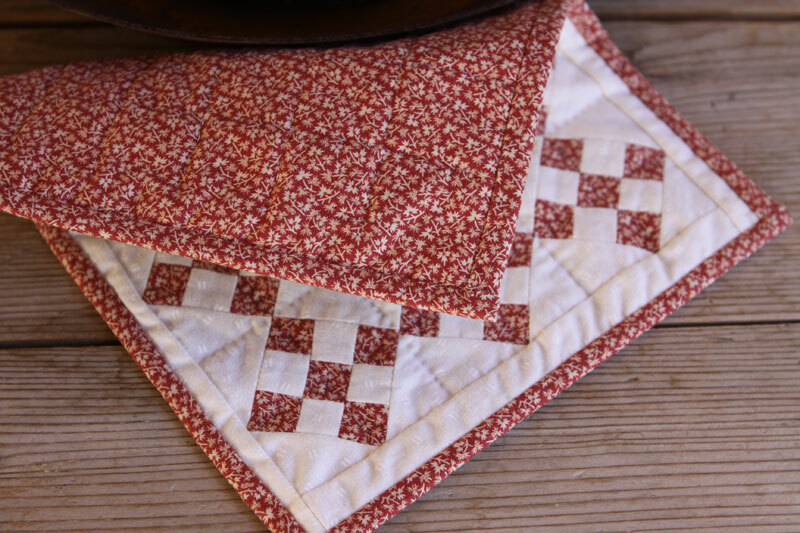 you have made my favorite block as a little quilt and you know how much I love little quilts and in red? what can I say this is just beautiful. yup I need to make one too. 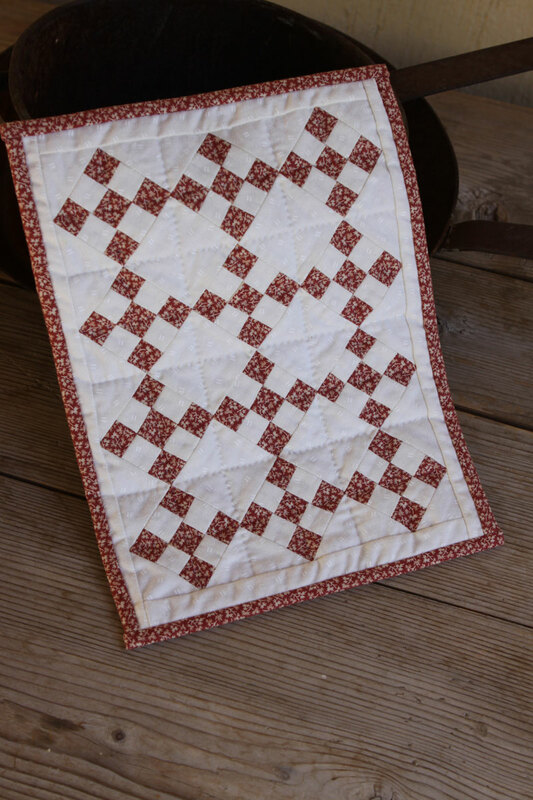 Lucy has been such an inspiration to me as well….thanks great post, beautiful quilt…. I think that is absolutely lovely!!! Thank you for sharing!!! So darling! Thanks for sharing this sweet little quilt. You made a wonderful mini. I just noticed it. It is darling! How big are the 9 patches? Visiting from Tuesday Archives. I tried the math and came up with the squares must be about 1/2 inch??? I love miniature quilts. Nice one. Christine your mini quilt is adorable!